I had some great responses to my post a few weeks ago about my experience 1 month into Kindle Select. See original post here. There were many people who were struggling with it like me, and others who had advice to make the experience work better for you. Stick with KDP Select – Most people believe KDP is the best place to sell your indie books as Kindle is the highest retailer of ebooks. You still have to do ALL the marketing yourself – I had been naïve enough to think that once you went with Select, they would promote your book to all their unlimited subscribers. Reviews – Once you hit a certain amount of reviews, Amazon does start to help you with promotion. This is one I’ll be looking out for with interest once I hit that magical number, whatever it is! Countdown Deals – You can run them in the UK & US at the same time, but not if you put in different starts dates as I did. You NEED to promote Countdown deals yourself. Pay to advertise your sale on the many different book ad sites out there. I haven’t used any paid ad sites myself, but will be looking into this option. Any one have any recommendations? 5 Free book days per enrolment period – Best to do when you have more than one book published. Others have reported success with lots of downloads on their free days, and if it can help get those sought after reviews, all the better. I may hold off setting up my free days until my next book comes out though. Don’t forget to advertise. 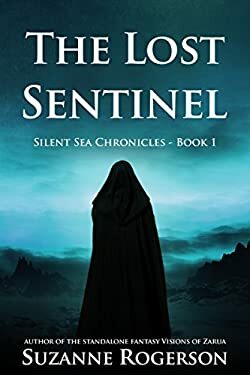 Free Copies to reviewers – This one was a real issue for me, but I have since heard back from Amazon who stated a free copy of a physical product is permitted if the author states they welcome positive and negative feedback, and the reviewer states a free copy was received in exchange for an honest review. Other ad options – There are other marketing options to try with KDP Select – I’ve set up several ad campaigns. Sponsored products – You only pay when someone clicks on your ad, which is shown on the Amazon website when your selected key words are searched for. I’ve had this running a while and according to them I’ve had over 3k impressions but only 3 clicks. So far this hasn’t resulted in sales, but maybe the people who have seen the book cover a few times will get intrigued enough to click on it and find out more. Product Display – This is where your book will appear on people’s kindles and Amazon.com when they search certain genres. I held off with this as you have to set a minimum budget of $100, but they only start billing you when people start clicking on your ad. Mine only went live today so I don’t know if it will help with sales. And finally the big news, I’ve just set up my first ever Amazon.com Giveaway. Anyone in the US can enter for a chance to win my paperback. I’ve set it that they have to follow me on Amazon.com so we’ll see if anyone is interested and if this will help me get more coverage in the US. If you’re in the US and want a chance to win a paperback copy, please check out the link here. UPDATED 4.40pm 20th Sept 16. I don’t understand the Amazon giveaway. It closed after less than an hour and a winner has been picked after only 57 entrants. I set it up to be 1 winner in 100. The upside is now I can redo it without my mistake on the Welcome message, not allow everyone to share the giveaway, set it up to have a higher amount of entrants. The downside is, I have to pay for another giveaway already, I thought this one would last a week! Now over to you – Have I inspired you to try Kindle Select, or put you off trying it altogether? Have you any findings to share or tips on improving sales whether through KDP Select or other means? Maybe you’ve made some mistakes you’d like to share. I’d love to hear your views. I’m looking to reach that magic number of reviews on Amazon, I’ve read that it could be 20. I have 14 great reviews so far, and I’m really hoping to reach 20 reviews by the end of the year. I’ve been researching book reviewers and will be contacting some over the next few days, but I thought I’d also put the request out to you guys. 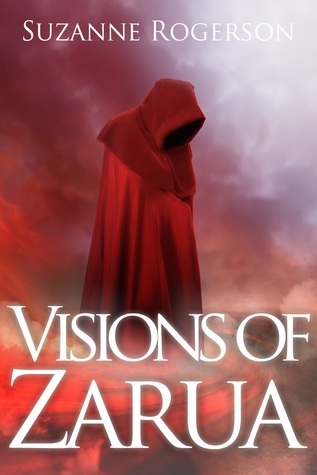 If any of you are book reviewers and are interested in reading Visions of Zarua, please get in touch in the comments or via my ‘contact me’ page. 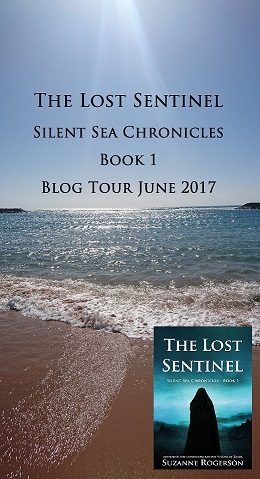 I’m also willing to take part in Q&A sessions and author interviews if anyone would like to feature an indie author on their blog. I’ll leave you with the Amazon link here if you want to find out what the book is all about. Obviously its free if you’re a Kindle Unlimited customer (Amazon suggested I tell reviewers that!). I signed up to KDP Select in August 2016. It was a horrible experience to unpublish with Smashwords after all the work that goes into preparing the manuscript for them. It feels like a step backwards to remove the book from so many book buying platforms, but I decided it was worth it to go exclusive with Amazon Kindle. I came into KDP Select with high hopes. There seemed so many benefits of offering them exclusive ebook rights, and being enrolled in Kindle Unlimited seemed like a win win for everyone. Well, I’m disappointed to report the results so far are no better than when I was going it alone. I don’t see any benefit to being exclusive, rather I feel tied to Amazon with no help in return. Even running the Kindle Countdown deals has been a disappointment. They haven’t help with the promotion. All it has done is made me clutter my twitter feed, facebook etc with buy my book posts, which I hate. But if I don’t try to spread the word, whose going to know there is a sale on and what’s the point of doing it in the first place? I did rush into KDP Select without reading the small print, but they draw you in by saying you can reach more readers, earn more money and maximise your sales potential. However, you can only run one promo in one enrolment period. I opted for UK countdown deals, not realising I couldn’t run the US one at the same time. I also wanted to use their ‘5 day free’ book promotion, but do I want to tie myself to them for 6 months? I had big plans to approach lots of reviewers in September, but I cannot give away copies of my own book. How ridiculous is that? I believe I may be able to gift copies, but I’m waiting for Amazon to get back to me on how this is done without going against their terms and conditions. Anyone out there have any advice on how to make the most of KDP Select? This is a very dispiriting time for me. I don’t like to be negative in my posts, and I’m sure when the next marketing opportunity comes up that I’ll feel more positive again. I suppose I just need to let off steam and then I can focus on finishing my next book. That is why I’m doing this. I love writing and I’ve loved sharing Visions of Zarua with the world and reading the wonderful reviews people have written. I would just like to thank all those who have supported me. Without you guys, I’m sure I would have given up on self publishing by now. I’m feeling a bit blogged out at the moment, but I hope to start sharing book reviews, writing advice and my photographs again soon. Thanks for bearing with me.